The 2018 Munich High End Show was indeed a ‘high’ for R2R lovers worldwide, with the announcement that production of the world’s first modern open reel tape decks was, at last, recommencing after a couple of decades’ haitus. Two companies were leading the vanguard: German design company Ballfinger and international hi-fi brand Metaxas & Sins. Those same two companies are still leading the vanguard but to date just one of them, Ballfinger, has entered full production – with an impressive four models. But fear not, R2R fans, for Metaxas & Sins is very much still in the running. However, the company’s plans have had to change slightly, due to the sad death of a good friend and valued supplier. Here, Kostas Metaxas explains how and why his plans for the ‘GQT’ (George Quellet Tribute) open reel tape recorder have had to evolve. “The development of the GQT owed a great deal to my love of, and long-standing relationship with, Stellavox. Georges Quellet is the founder of Stellavox and my design drew heavily on the classic Stellavox SM8 – with George’s full blessing. Hence my tribute to him in the name. “When I developed the whole design concept for the GQT, the idea was to use NOS (new old stock) parts from JP Gurtner, formerly of Stellavox, with a view to the GQT being a limited edition design aimed at both home and studio use, of which I’d build a maximum of 20 machines subject to demand. “Very sadly, in the midst of the production process, JP Gurtner passed away. As a result, those plans could no longer be taken forward. 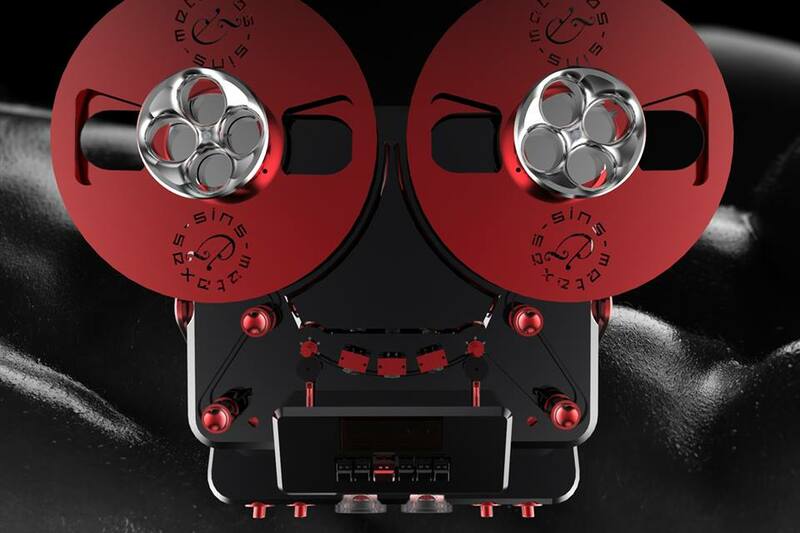 In other words, Metaxas & Sins is still as committed as ever to bringing its own open reel tape recorder to market, though given the nature of this current design, the focus is now more on a studio/pro-oriented machine. 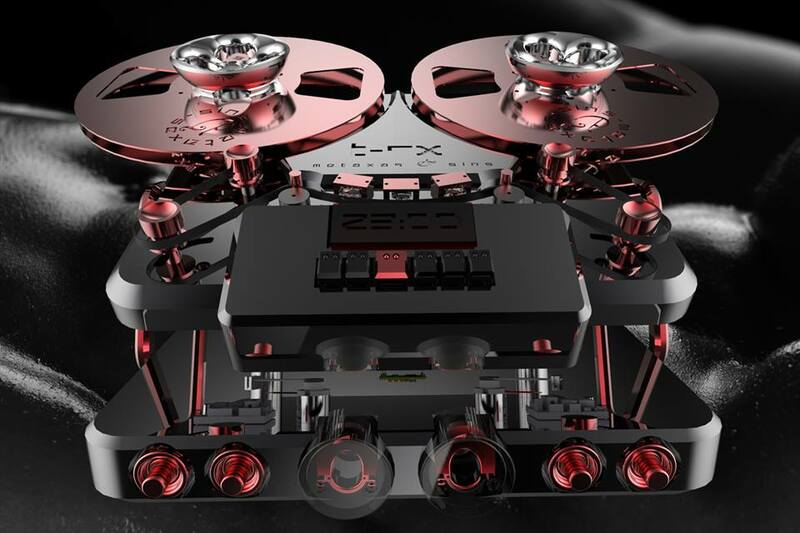 “I’m calling it the T-RX (so you probably know not to expect something small! ),” says Kostas. Existing orders for the GQT will be fulfilled with this bigger, better (and more expensive) machine and Metaxas’ hope is to begin production around Spring 2019, with an official launch at Munich 2019. Until then, here’s a sneak preview of its unmistakably sculptural design. 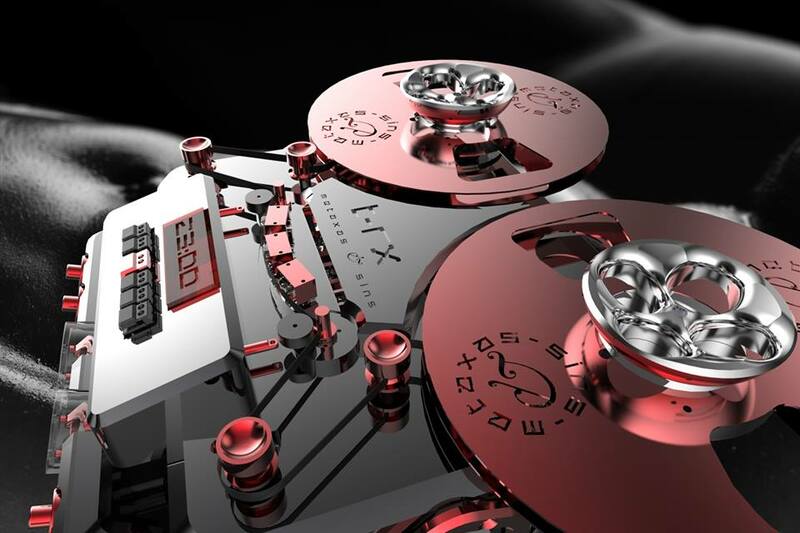 Find out more about Metaxas & Sins and discover their full range of stunningly avant-garde audio designs at www.metaxas.uk (UK) and www.metaxas.com (international). On the international website you’ll also find a number of free hi-res samples of various concert recordings made by Kostas Metaxas who, from 2003, embarked on an ambitious project to create his own library of reference-quality analogue recordings, which he would use in the process of designing his high-performance audio systems. Watch Kostas Metaxas’ talk on analogue tape recording techniques at the Munich High End Show 2012.